Thomas Frederick Malvern was born in Malvern and enlisted at the Malvern Recruiting Office in November 1915 under the Derby Scheme. At the time of enlistment he gave his address as 15 Herefordshire Terrace, The Wyche. He had married Elsie Ethel Marchant at St Stephen’s Church, Cheltenham on 29th June 1904 and the couple had 5 children by late 1915 (Cyril born June 1905, Beatrice born October 1906, Harold born March 1909. Jack born August 1912 and Olive born in December 1913). Enlisting under the Derby Scheme, Thomas Malvern was not mobilised until 15th June 1916. He was posted to the 1st (Garrison) Battalion three days later and placed in F Company. This unit was a home service battalion and had been formed at Portsmouth in January 1916. 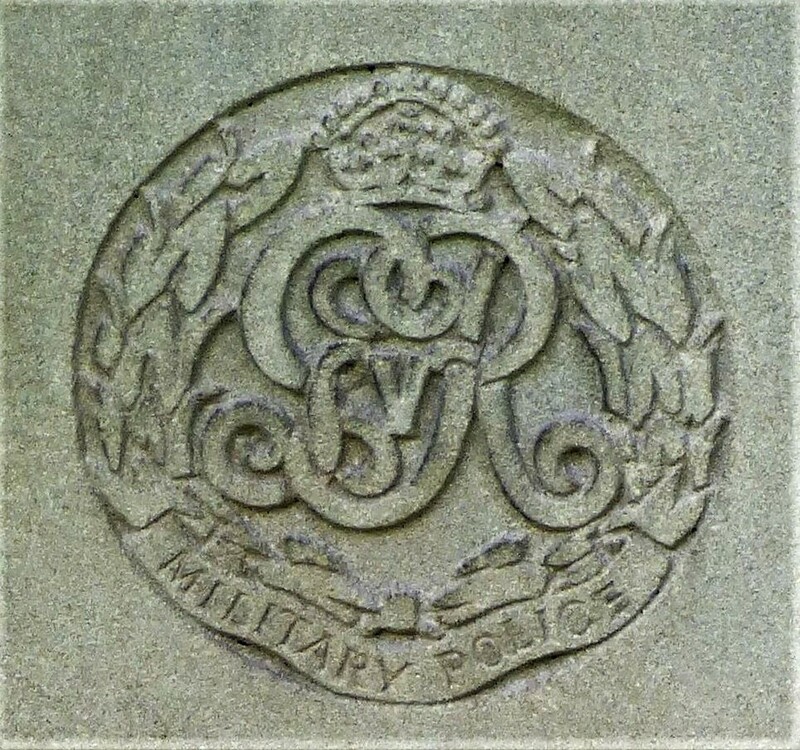 Whilst at Ryde, on the Isle of Wight, on 5th May 1917, Thomas Malvern was transferred to the Military Foot Police and appointed Acting Lance Corporal on that day. On 15th June 1917 he landed in Le Havre and served as a military policemen with the British Expeditionary Force for the next two years. Initially he served with Assistant Provost Marshall at Havre, and on 14 July 1917 was posted to APM Trouville, moving back to Havre later that year. A bout of flu hospitalised L/Cpl Malvern in August 1918, being admitted to the 3rd Canadian General Hospital at Boulogne followed by the 10th Convalascent Depot. Other than being reprimanded for smoking whilst on duty, he had a clean conduct record. Thomas Malvern was granted leave to the UK in February 1919. Many men were being demobilised in the early months of 1919, and it is likely the Malvern would not have spent much longer in uniform. However this was not to be, on 23rd May 1919 he was admitted to 14 Stationary Hospital at Terclinthun, Boulogne with broncho-pneumonia. A condition to which he succombed on 16 May 1919 – his widow was informed by telegram three days later. The Graves Registration Unit recorded his unit at time of death as Military Foot Police Outreau. His personal effects were returned to his widow in September that year.